Family films: With "The Boss Baby" delivering $49 million last weekend and with "Beauty and the Beast's" domestic cume already at $395.5 million in week three, it's clear that family films remain one of Hollywood's best boxoffice bets. What's nice about family films is that you don't just sell a pair of tickets, you sell three, four or, maybe, five seats at a time. Families are a great group for exhibitors as well as distributors. Not only do they buy multiple tickets, which can really add up at premium priced 3D or IMAX theatres, but families also spend big bucks at multiplex concession counters. All that money for overpriced popcorn, soda and candy stays with the theatre owners and isn't shared by the studios. No surprise, then, that exhibitors love 3D PG rated family appeal movies -- like Disney and Mandeville Films' live action "Beauty;" Warner Bros., DC Entertainment and LEGO System's animated "The LEGO Batman Movie" ($172.2 million domestically through last weekend); and 20th Century Fox and DreamWorks Animation's animated "Boss." "Boss" kicked off in first place with nothing to cry about. Its better than expected $49 million launch makes it the year's fifth biggest domestic opening to date. It also did about $36.2 million internationally last weekend. While "Boss" played best to families, it also resonated domestically with Baldwin's "Saturday Night Live" millennial fans. 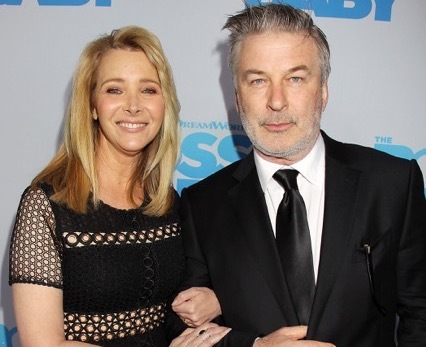 Directed by Tom McGrath ("Madagascar" and two sequels), it's based on the book by Marla Frazee and stars the voices of Alec Baldwin, Steve Buscemi and Lisa Kudrow. Will lightning strike twice in two weeks on the family films front? We'll see this weekend as Columbia and Sony Pictures Animation's PG rated 3D animated comedy adventure "Smurfs: The Lost Village" opens at about 3,400 theatres. "Village" is directed by Kelly Asbury ("Shrek 2") and stars the voices of Ariel Winter, Michelle Rodriguez, Julia Roberts and Demi Lovato (who voices Smurfette). The franchise's last episode, "The Smurfs 2," opened modestly July 31, 2013 to $17.5 million and did $71 million domestically. It was much healthier internationally with about $276.5 million in ticket sales. Sony will be hoping that the new episode performs more like the original, "The Smurfs," which opened July 29, 2011 to $35.6 million and did $142.6 million domestically. It pulled in about $421 million more internationally. "Village" should benefit from arriving during the quieter early spring rather than during the most competitive part of the summer, as the first two "Smurfs" episodes did. On the other hand, coming in just one week after the 3D animated "Boss's" big debut isn't ideal timing. In "Village," Smurfette and her best friends race through the Forbidden Forest to find a mysterious lost village before the evil wizard Gargamel does. Five more animated hopefuls will follow "Village" into theatres throughout the spring and summer months. Here's a quick look at what to expect. APR. 14: Open Road Films' PG rated animated comedy adventure "Spark: A Space Tail" will follow "Village" into theatres one weekend after it arrives on the heels of the very hot "Boss." That puts three family appeal animated comedies in the marketplace at the same time, which isn't the greatest news for "Spark." On the other hand, it's opening over Easter Sunday weekend when family moviegoing typically expands, which should help all films targeted to families. "Spark" isn't playing in 3D, but that might help it by making it a cheaper ticket for families to see instead of having to pay for premium priced 3D seats. Directed by Aaron Woodley ("The Entitled"), it stars the voices of Patrick Stewart, Susan Sarandon and Jessica Biel. 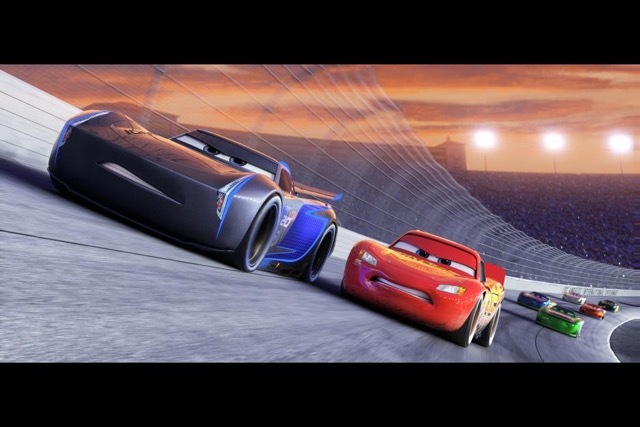 JUNE 16: Nine weeks will have elapsed by the time the next 3D animated feature rolls into the multiplexes -- Disney and Pixar Animation Studios' "Cars 3." So the high profile comedy adventure will have the big advantage of being the only new family film in the heavily adult mid-June marketplace. "C3's" first time feature director, Brian Fee, was a storyboard artist on the franchise's first two episodes. Its voice stars include: Nathan Fillion, Armie Hammer and Owen Wilson. The first two "Cars" episodes grossed $435.5 million domestically. "Cars 2" opened June 24, 2011 to $66.1 million and did $191.5 million domestically. It grossed nearly $371 million more internationally. In "C3," legendary racer Lightning McQueen is pushed out of the sport he loves. To get back in the game, he needs some help from others, including, an eager young race technician with her own plan to win. JUNE 30: Two weeks later, families will be the target of another 3D animated feature -- Universal and Illumination Entertainment's "Despicable Me 3." The action adventure, directed by Kyle Balda ("Minions") & Pierre Coffin ("Despicable Me 2," "Minions"), stars such voices as: Kristen Wiig, Jenny Slate and Steve Carell. The franchise's first two episodes and the series' spinoff "Minions" have together grossed $955.6 million domestically. "DM 2" opened July 3, 2013 to $83.5 million and did $368.1 million domestically. It did nearly $603 million more internationally. Despite coming into the marketplace on the heels of "Cars 3," "DM3" should benefit from Fri., June 30 leading into the extended five day weekend leading up to July Fourth. The holiday falls on a Tuesday this year, so Monday will be a day off from work for many people and that tends to boost boxoffice sales. July Fourth is a weather driven holiday when it comes to moviegoing. If the weather's good in regions like the mid-West and the North East, outdoors activities like picnics, beach visits, barbecues, pool parties, fireworks shows and parades are a magnet for people. On the other hand, if it rains, an afternoon at the movies becomes a great way for parents to keep their kids from "killing each other" at home. So depending on Mother Nature, "C3" may get an extra boxoffice bump on the Fourth. AUG. 18: Open Road Films' animated comedy adventure "The Nut Job 2: Nutty by Nature" is arriving seven weeks after "C3" parks at the multiplexes. That should be helpful timing as by then parents will have already taken their kids to see "C3" and "DM3" and will be ready for something new. It's not being shown in 3D, which can be seen as either a help (cheaper 2D tickets are more family friendly) or a disadvantage (not all the bells and whistles that people now expect from animated features). Directed by Cal Brunker ("Escape From Planet Earth"), its voice stars include: Will Arnett, Katherine Heigl and Maya Rudolph. In "Nut 2," four squirrel pals must stop the mayor of Oakton City from turning the park that's their home into an amusement park. The series' first film, "The Nut Job," opened Jan. 17, 2014 via Open Road to $19.4 million and did $64.3 million domestically. It did nearly $57 million more internationally. AUG. 30: Family audiences over Labor Day weekend will be the target of The Weinstein Company's PG rated animated comedy adventure "Leap!" Originally, "Leap!" was jumping into theatres Apr. 21, but the marketplace then was crowded with animated family films. Moving "Leap!" to the quieter Friday leading into Labor Day weekend was a smart move. If Labor Day brings rain to the East Coast or Midwest, as it often does, that typically sends parents-with-kids to the movies and "Leap!" would likely benefit from being the only brand new animated feature. Like "Nut 2," it's not a 3D release, but that may not matter to families looking for something new and animated to see with their young kids. Cheaper 2D tickets could make it attractive for larger families. "Leap!" is from first time feature directors Eric Summer & Eric Warin. Its voice stars include: Elle Fanning, Dane DeHaan and Carly Rae Jepsen. In "Leap! ", an orphan girl in France dreams of becoming a ballerina. After leaving her country home for Paris, she's mistaken for someone else and becomes a student at the Grand Opera House. Bottom line: "Boss" and "Beauty" packed a one-two family boxoffice punch that sent last weekend's marketplace up 28.3 percent over this time last year, per comScore -- $171 million vs. $133.3 million. Last weekend also saw Paramount, DreamWorks and Reliance Entertainment's PG-13 rated 3D sci-fi action drama "Ghost in the Shell" open quietly in third place to $19 million. It opened internationally to $40.1 million. "Ghost" reportedly cost $110 million to produce. Directed by Rupert Sanders ("Snow White and the Huntsman"), it stars Scarlett Johansson as a unique special ops human-cyborg hybrid leading an elite task force targeting the world's most dangerous criminals and extremists. With the first quarter now history, 2017's $3.034 billion boxoffice to date, according to comScore, is up 5.0 percent vs. $2.888 billion this time last year. While the year is definitely looking good, it's been losing a little steam lately. A week ago, 2017 was up 5.5 percent in comScore's tracking and the prior weekend it was ahead by 5.8 percent.